A famous Russian rock- band “DDT” congratulated Kirov citizens on the traditional Day of the City! The leader of the band Yuri Shevchuk and musicians of the group as always stayed in our hotel. 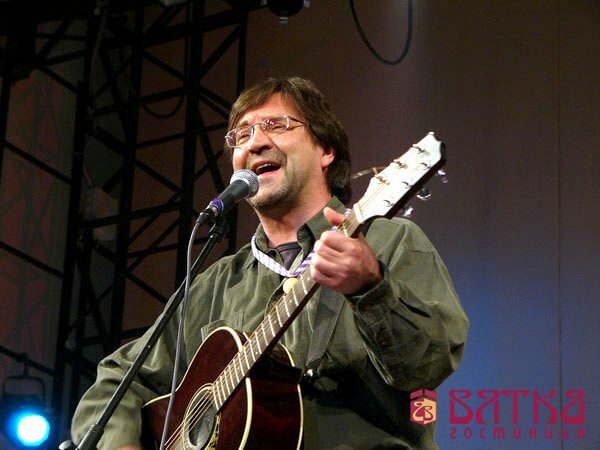 July, 12th on the day of the City all Kirovites received a present – a performance of the legendary rock-band “DDT” with its leader Yuri Shevchuk in Teatralnyaya Square. The musicians arrived in Kirov by train and traditionally stayed in the “Vyatka” hotel. The concert lasted for about 2 hours. By non-official data the concert was attended by 20000 spectators. Yuri Shevchuk was satisfied with the performance and promised to give another concert on 650th birthday of Kirov!